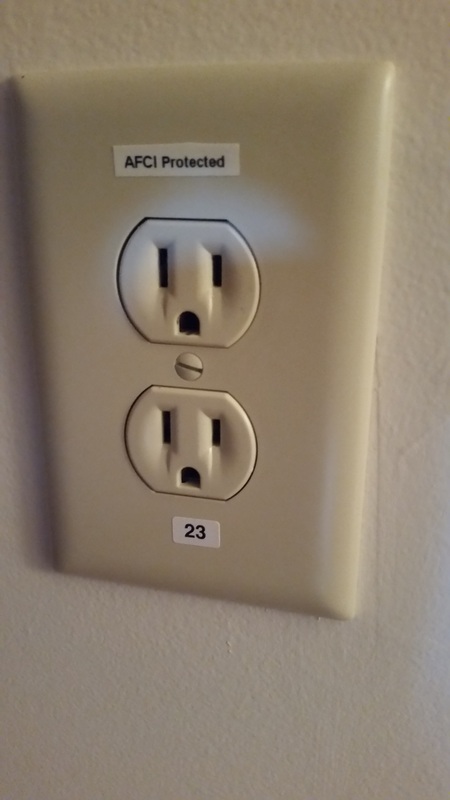 While the NFPA’s National Electrical Code does not specify a preferred orientation, I like to install electrical outlets (as shown) with the ground pin down. There are several popular arguments which assert the ground pin should be at the top. One such thought contends there would be less of a chance of a metallic object sliding down the wall and creating a direct short circuit with the exposed line and neutral conductors if the plug wasn't inserted the entire way. Notwithstanding, I like it to look more like a face.